I’m sitting at the edge of the vegetable garden in my parents backyard. I’m six years old. The sun is warm on my skin. I’m playing with clods of dirt beside the tomato plants. My mother walks in among the stalks, picking tomatoes, brushing her fingers over the leaves. The earth at her feet is a dark, rich brown. The sky is blue. The breeze is a caress. The sun, a soft kiss. The day stretches ahead of me, endless. My mother sings as she gathers the vegetables. Not to me, or even herself. I have the feeling she’s singing to the plants, the earth, the air, the sky. I have this thought, as a child of six, this gentle realization that happiness means summer, warm sun, damp earth, the fresh, green smell of tomato leaves, and song. Childhood memories are like that for me. Postcards moments. Not entire episodes or dramas. Feelings that are frozen in time. Eternal. Momentous. This postcard of my parents’ backyard garden came to mind when I was reading Andrew Cotto’s Outerborough Blues (amazon.ca / amazon.com), a story of a young Brooklyn man, Caesar Stiles, and his troubled past, remembered through flashbacks of his childhood. Caesar’s own small, postcard moments, many of them playing out the delicate, emotional connection with his father and brothers, are filled with sadness, regret and longing. And these are the times when Cotto’s writing soars. When Caesar remembers being a little boy, waiting for his father with anticipation on the front steps of his house, “waiting, until the faint sound of a motorcycle tickles my ear”. When he remembers the musician, Macie Turner, whose “mother had sown herself into a cotton kite and flown away when he was four years old”. How his grandmother had stalked a man in New Orleans, “learning his habits, studying his dust”. Cotto’s story is rich with symbolism – even down to its very structure. Presented in seven chapters, each named after a day in the week leading up to Easter Sunday, the book follows Caesar as he seeks to redeem himself and save everyone he loves in the process. By Good Friday, Caesar’s been mocked, beaten, pissed on, stabbed in the side, and faces imminent death. Will he be crucified, “hung from the fence” of the art school near his house? Or will he (physically and metaphorically) wake up on Sunday morning, bathe (finally), get dressed in clean clothes and walk out of his house onto the rain-washed streets of Brooklyn, a new man? 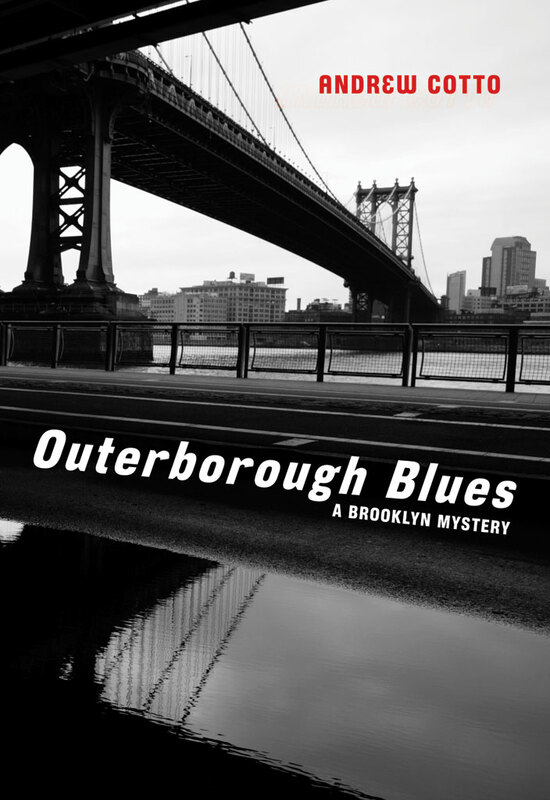 From the moment I started reading Outerborough Blues, I certainly hoped so. Caesar is an easy character to admire, and Cotto does a superb job of building the suspense of the story to a dramatic ending, all the while making you root for Caesar, the hero. You want Caesar to solve the mystery of the missing art school student. To win the beautiful, barefooted girl. To honour the people in his neighbourhood – the church ladies who come for dinner at the restaurant where he works; the young “Angel” who rents his downstairs flat; the old woman who works in the corner store, dispensing lottery tickets and sage advice. And you cheer for him when he stands up to the bullies – the drug dealing kids across the street; the “Orange Man”, of whom he is so afraid; or his own big brother Sallie, with his violence and his need for everything to be “even Steven”. And Cotto delivers. Outerborough Blues is a beautiful story, told in a lyrical voice, blending past and present in a thoughtful – and thought-provoking – way. The story evolves slowly, opening up the underbelly of this Brooklyn neighbourhood and the slimier side of Caesar’s life, but balancing that perfectly with his dreamer’s vision, his poet’s eloquence, his martyr’s courage. And it’s this gorgeous harmony that makes Outerborough Blues such a pleasure to read.